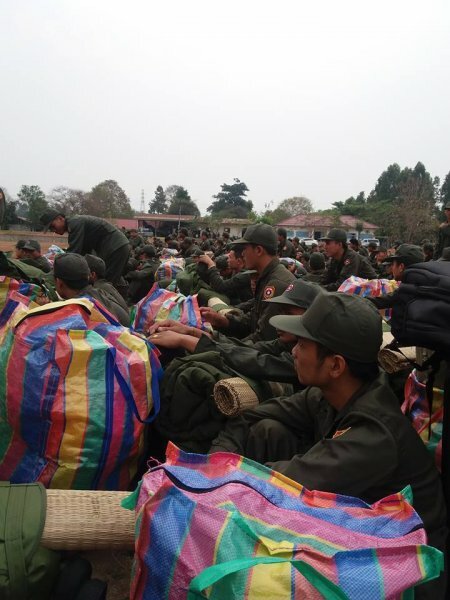 Reports from Laos indicate that the Lao military, with the assistance of Vietnam, is conducting a sustained incursion into the Hmong ChaoFa Indigenous community’s territory, isolated areas where many Hmong have fled to avoid persecution at the hands of the regime. The regime has been accused of expropriating the Hmong territory for economic benefit. The leader of the Hmong in the affected region, Mr Chong Lor Her, has called on the international community to provide immediate humanitarian assistance to the Hmong people. Reports have emerged of an ongoing incursion by the Laotian military into the Hmong ChaoFa Indigenous community’s territory in the Phou Bia region of Laos. Phou Bia, the highest mountain in Laos, is located in the Annamese Cordillera, at the southernmost end of the Xiangkhoang Plateau in Xiangkhouang Province. Many Hmong fled to mountainous and jungle regions of Laos in an attempt to seek refuge from continuing persecution and violence, and it is estimated that between 2000-12000 Hmongs are still displaced in these remote areas. During the Vietnamese war, the Hmong people were recruited by US forces to counter the invasion of Northern Laos, and to this day are subject to continued discrimination manifesting in routine violations of their basic rights, including uncompensated land confiscation, arbitrary arrests and denial of their economic, social and cultural rights. These abuses are exacerbated by the oppressive and authoritarian nature of the ruling Lao People’s Revolutionary Party (LPDR), whose regime is responsible for the suppression of freedoms of expression and association, arbitrary detention and enforced disappearances. The ruling party are also accused of using rural development and poverty alleviation as a pretense for an increase in environmentally unsustainable activities in Hmong territory, including dam building projects and illegal wood logging. According to the Hmong community, the incursion into their territory began in November 2015 and since then the situation has deteriorated. Sources say that there are currently 300 Lao soldiers and one military tank stationed in Muang Om, along the road from Moung Ong to Moung Cha, and one military base in Moung Cha. The US embassy in Vientiane has issued a travel warning for some of the affected areas, including Phou Bia and Moung Cha. Furthermore, it is claimed that the Vietnamese military are assisting in controlling the area of Ha Qhoua, south of Phong Savan. Vietnam, along with Thailand, have collaboration agreements with Laos that involve the forced repatriation of Hmong refugees along with joint military campaigns within Laos to target Hmong communities seeking refuge in jungle areas. Mr Chong Lor Her, leader of the Hmong community in the affected regions, has said that the LPDR government’s agenda of invading Hmong territory is a continuing violation of their economic, social and cultural rights. International legal norms regarding the protection of the rights of indigenous peoples were established under the 2007 United Nations Declaration on the Rights of Indigenous Persons, signed by 144 countries including Laos. However, the situation of the Hmong is particularly difficult, as Laos does not recognize them as an indigenous people. As a result, they have failed to implement any special legislation in this regard. Without such explicit recognition of their status, they remain vulnerable to ongoing land confiscation, natural resource exploitation, and other abuses of their cultural and religious rights. Mr Chong Lor Her has called upon the international community to provide immediate humanitarian assistance to alleviate the desperate situation of the Hmong people.